Why should I choose the Ergobaby Organic Teething Pads? Naturally baby will try to chew the straps of your carrier. The Ergobaby Organic Teething Pads gives them a soft place to chew and dribble which is safer for them and keeps the carrier drool free. How do I use the Ergobaby Organic Teething Pads? The Pads easily affix around the strap with a snap of a button. Really easy to affix and remove. What are the specifications for the Ergobaby Organic Teething Pads? The Ergobaby Organic Teething Pads are the perfect accompaniment to your Ergobaby Baby Carrier, allowing baby to teeth and your carrier to stay clean! Ergobaby Original Baby Carrier is an award-winning, ergonomically designed baby carrier which provides comfort for both baby and parent. It enables a safe and natural sitting position for baby whilst balancing baby's weight across your hips and shoulders. Ergobaby Original Baby Carrier enables three carry positions. Why should I choose the Ergobaby Original Baby Carrier? The Ergobaby Original Baby Carrier now includes added lumbar support*. Made with premium linen fabric with a cotton lining, Ergobaby Original Baby Carrier allows 3 ergonomic carry positions - front inward, hip and back. Supports your baby from 5.5kg-20kg* and infants from 3.2kg-5.5kg (with the use of the Ergobaby Performance Infant Insert - sold separately). A large zippered pocket provides storage and the adjustable hood gives support to your baby's head, protects them from the sun and offers privacy while nursing. Ergobaby Original Baby Carrier is machine washable. * Ergobaby advises that packaging may still show a maximum capacity of 15kg but products have been thoroughly tested up to 20kg. 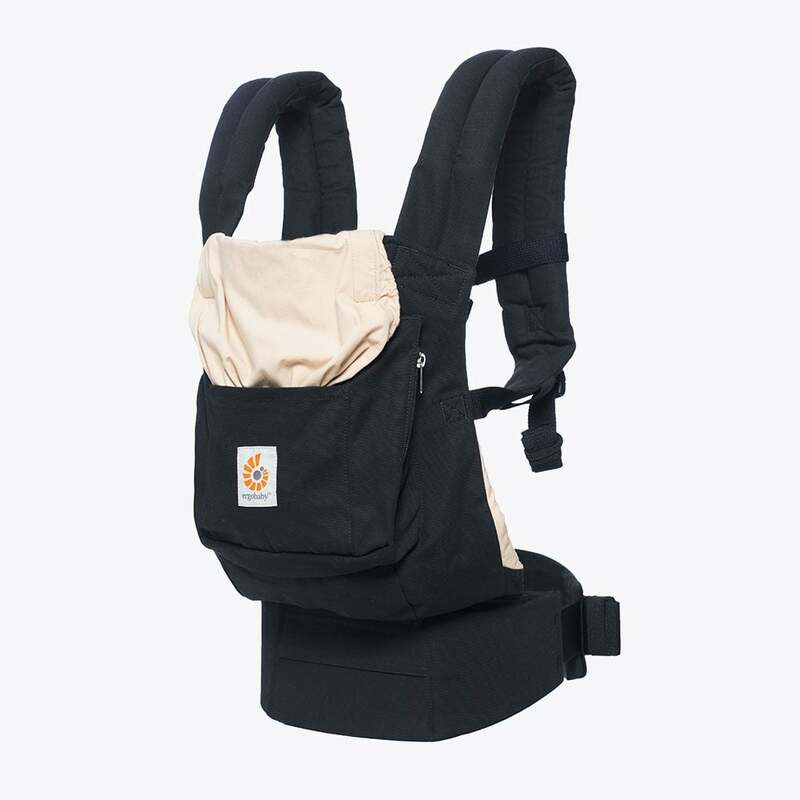 What are the specifications of the Ergobaby Original Baby Carrier? Do I get a warranty with the Ergobaby Original Baby Carrier?